Austrian born bass Albert Pesendorfer studied flut and voice at the Bruckner-Universität Linz and at the Musikuniversität in Vienna. As Hagen in R. Wagner´s Götterdämmerung under the baton of Adam Fischer he recently had a tremendous success at the Wiener Staatsoper in April 2018. Recently he had also big success at his return to Hamburgische Staatsoper as Rocco in Beethovens Fidelio, his debut at Opernhaus Zürich as Lodovico Nardi in Schrekers Die Gezeichneten, as Daland and Hagen at the International May Festival Wiesbaden and as König Marke and Landgraf at Deutsche Oper Berlin. 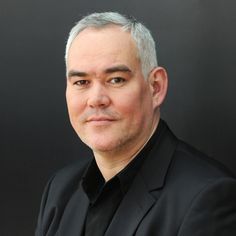 In summer 2016 he gave his highly acclaimed debut at the Bayreuth Festival as Hagen in Götterdämmerung under the baton of Marek Janowski (including TV- and radio live broadcast) and had his successful debut at New National Theatre Tokyo as Hunding in autumn 2016, followed by Hagen in autumn 2017. As Hunding and Hagen he was also invited to the International May Festival Wiesbaden 2017 and had his highly praised debut at Palace of arts Budapest (Müpa) as Gurnemanz under the baton of Adam Fischer. His plans include his debut at Opéra de Monte Carlo as Osmin in Mozarts Die Entführung aus dem Serail, his return tot he Palace of arts Budapest (Müpa) as Hunding and Hagen under the baton of Adam Fischer, the world premiere of D. Glanert´s Oceane at Deutsche Oper Berlin, Landgraf at the International May Festival Wiesbaden and his debut as Boris Godunov. On the concert podium he will have his debuts with the Czech Philharmonic in Prague and with BBC Symphony Orchestra in London, he also returns to the Beethoven Orchester Bonn. 2015/16 he gave his highly successfull debut as König Marke in Tristan und Isolde at Deutsche Oper Berlin and was heard as Daland at the International Mayfestival Wiesbaden. In 2014/2015 he was highly successful as Hagen in a np Götterdämmerung at the Neues Musiktheater Linz, as Zauberkönig in Geschichten aus dem Wienerwald by HK Gruber at Theater an der Wien and as Ochs and Grand´Inquisitor at Deutsche Oper Berlin. In Summer 2014 he was heard as Sarastro and as Zauberkönig in the world premiere of Geschichten aus dem Wienerwald by HK Gruber at the Bregenzer Festspiele. Future plans include Hunding and Hagen at the New National Theatre Tokyo, Fasolt in a np of Das Rheingold at Staatstheater Wiesbaden, Hunding and Hagen at the Wiesbaden International May Festival, Gurnemanz under the baton of Adam Fischer at the Mupa Budapest, his debut at Opernhaus Zürich as Lodovico Nardi in a np Die Gezeichneten, König Heinrich, Fasolt and Hagen as well as Landgraf and König Marke at the Deutsche Oper Berlin. Since 2012/13 he is engaged as a principal soloist with the Deutsche Oper Berlin singing Gurnemanz, Hans Sachs, König Marke, Baron Ochs, Landgraf Heinrich, König Heinrich, Daland, Fafner, Sparafucile, Grande Inquisitore and Banco. Latest Highlights were Hans Sachs at Oper Kiel, Baron Ochs in a new production at Staatstheater Darmstadt, Claudius in Händels „Agrippina“ at Theater Erfurt, "Kehraus um St. Stephan" by Ernst Krenek at Volksoper Wien, Hans Sachs at Landestheater Linz, Osmin at Vlaamse Opera Antwerpen, Baron Ochs a new production at Staatstheater Wiesbaden. From 2006 - 2012 Albert Pesendorfer has been a principal soloist of the Staatsoper Hannover. He has made guest appearances with the Staatsoper Stuttgart, Volksoper Wien, Oper Leipzig, Oper Halle/Saale, Oper Graz, Oper Bonn, Oper Kiel, Staatstheater Darmstadt, the Wiener Festwochen, Bregenzer Festspielen and the Opernfestspielen St. Margarethen. Albert Pesendorfer’s repertoire encompasses close to 60 roles, the core of which includes: Hans Sachs, Gurnemanz, Landgraf Hermann, Daland, Baron Ochs, Holsteiner, Rocco, Osmin, Leporello, Sarastro, Il Commendatore, and Bartolo; as well as the following roles from the Italian literature: Filippo II, Zaccaria, Großinquisitor, Sparafucile, Oroveso and Timur. An extensive song and concert recitalist, Albert Pesendorfer has made appearances in the Wiener Musikverein, the Wiener Konzerthaus, the Berliner Philharmonie and the Brucknerhaus Linz as well as giving performances in Japan and in the United States.